The scope of the proposal would be limited to manufacturers (including importers) and processors that filed Notice of Activity (NOA) Form As as required by the Agency’s Active-Inactive Rule (August 11, 2017, Federal Register (FR)). TSCA confidential business information (CBI) is information for which a business has made a claim of business confidentiality. Once in the EPA’s hands, this information is protected from disclosure until the business withdraws the CBI claim, until the CBI claim expires, until the EPA determines that the claim is not entitled to confidential treatment, or as authorized under TSCA and EPA regulations. Under the proposal, the EPA would review each specific chemical identity CBI claim and substantiation and approve or deny those claims consistent with the procedures and substantiation criteria in TSCA sections 8(b)(4) and 14 and 40 CFR Part 2, Subpart B. The proposal also includes provisions clarifying the duration of protection for approved CBI claims. The 2017 Active-Inactive Rule allowed regulated entities to maintain an existing CBI claim without a substantiation, as the review plan had not been established. The rule also allowed businesses to voluntarily submit CBI substantiations for chemical substances on the confidential portion of the TSCA Inventory. Manufacturers and processors that voluntarily provided substantiations pursuant to the NOA-collection provision of the Active-Inactive Rule, or that identified a previous substantiation for the claim made to the EPA during the 5-year window established by the Agency, would be exempt from the current proposed requirements. The EPA is proposing to require that nonexempt manufacturers and processors substantiate any CBI claim for a specific chemical identity by submitting answers to seven questions regarding, for example, the harm the business would suffer if the CBI were disclosed and how the business has already acted to protect the information. The substantiation must be accompanied by a certification that all information included in the submittal is true, and the certification must be signed by an authorized official of the business. Agency finds appropriate to determine the information’s entitlement to confidential treatment. The EPA intends to follow the criteria for confidentiality determinations set forth in 40 CFR 2.208 and 2.306(g). When a CBI claim is denied, the Agency would notify the submitter of its intent to disclose the specific chemical identity and of the EPA’s reasons for denying the claim. The Agency says it would not disclose the specific chemical identity until 30 days after the date on which the submitter receives the denial notice. Submitters can challenge the EPA’s denial of a CBI claim by commencing an action to prevent disclosure in an appropriate federal district court. As noted, the proposal covers only CBI claims made in conjunction with the Active-Inactive Rule. 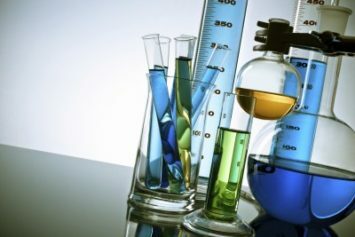 Other types of CBI claims—for example, for reintroducing an inactive chemical substance into U.S. commerce—are addressed under other parts of TSCA and subject to different federal CBI regulations. TSCA directs that the EPA must issue its final CBI review rule by February 19, 2020; the Agency’s TSCA deadline for completing all the CBI claim reviews is February 19, 2024. The EPA is proposing to require that all substantiations be filed no later than 90 days after the effective date of the final rule.